Witness the films of a man that would become a legend… an icon...Bruce Lee! 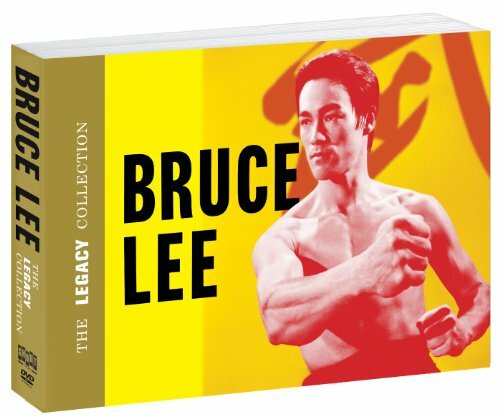 This box set includes four of the films that would make Bruce Lee one of the most important martial artists ever to grace the screen. The set includes The Big Boss, Fist Of Fury, Way Of The Dragon and Game Of Death. Also included are two documentaries Bruce Lee: The Legend (and the original version Bruce Lee: The Man, The Legend) and I Am Bruce Lee plus a bonus disc with over two hours of bonus content exclusive to this set. Correct pairing of disc label art and media for discs 10 and 11, which had inadvertently been swapped on the original release. New Blu-rays for The Big Boss, Fist Of Fury, Way Of The Dragon. Contrary to speculation circulating on the Internet, the original set did contain hi-def masters of the first three feature films. However, after comments from fans who had received early copies of our set, Shout Factory discovered that our sources were not the recently restored transfers used for the Blu-rays in Hong Kong and Japan, but rather the original masters done a few years ago in Canada. Shout Factory therefore acquired the improved masters (the master for Games of Death was not appreciably different), and have included them on this new set, for a truly definitive Bruce Lee collection. If you have any questions about this product by Bruce, contact us by completing and submitting the form below. If you are looking for a specif part number, please include it with your message.